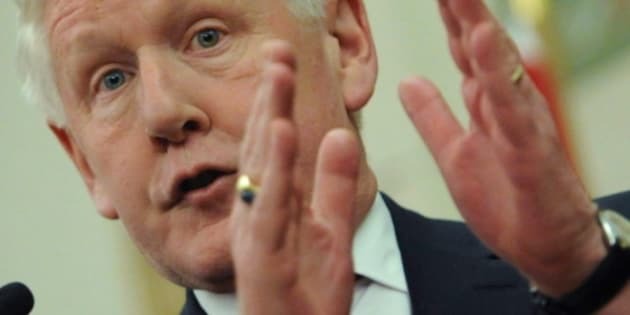 OTTAWA -- Interim Liberal leader Bob Rae says he still hasn't decided whether he'll take a run at the permanent leadership of the party. After a Postmedia story suggested Monday he would resign in June, Rae told HuffPost in an email "Here's the truth from this horse's mouth." "I have made no decision on anything, and won't until the party decides. Don't assume anything," he wrote. The party won't make a decision on rules for leadership and who can run until some time in June, Rae said. Liberal president Mike Crawley said in January that he believes the party shouldn't prevent Rae from running and that it should be up to the members themselves to decide his fate. Rae was given the interim leadership last year after pledging he wouldn't run for the party's top job. Several Liberals have raised concerns that Rae is using the interim position to raise his profile and travel across the country — an unfair leg-up on other potential leadership contenders. The Liberals are set to announce new rules on how the leadership process will be structured later this week. The party's membership voted last January to allow non-Liberal Party members to help chose the next leader. So-called "Liberal supporters" wouldbe given the same voting rights as regular members. Rae called it the most important change the party adopted at its January convention. "I think that the fact that we've opened up the party ... We're saying literally that we think the choice of the next leader should be up to all Canadians who are sympathetic and who are supportive of the Liberal party to join with us in choosing the next leader and in making a difference for the country," Rae said in January. Rae had been a champion of the proposed change which is expected to benefit candidates with a larger national profile.